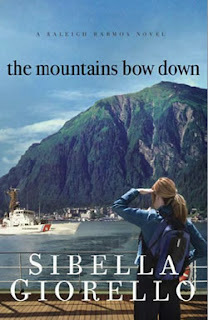 I really enjoyed reading The Mountains Bow Down ! It was another one of those books that I zipped through in a couple of days even though it is 369 pages long! It is a great murder mystery that keeps you guessing and turning the pages to find out what happens next. I love that they mention the Coast Guard in it 😀 though it was weird to hear them called “Coast Guardsmen” instead of Coasties 🙂 I also loved that it was set in Alaska, I’ve never been (but really, REALLY want to someday) but hubby spent a summer in the Ketchican area so it was fun reading about it. I enjoy Raleigh Harmon and all the complicated situations and messes she gets herself into. It was a very enjoyable read! Thanks to Litfuse for providing me with a copy to read! Start the series fresh with this great deal! Pick up a copy of Book 1 for your Kindle or Nook for only $2.99! The Stones Roll Away is the critically acclaimed award winner that kicked off the Raleigh Harmon series.